Then speak to us about offering Custom Built, Stainless Steel Exhausts with a lifetime guarantee for almost any vehicle. Topgear own the two largest Custom Exhaust Franchise Networks in the UK - Powerflow Exhausts and Longlife Stainless Steel Exhausts which combined offer over 100 Custom Exhausts Dealers throughout the UK and Ireland. We are actively looking to grow our Custom Exhaust Franchise Network and currently have a number of areas within the UK and Ireland where demand is strong. 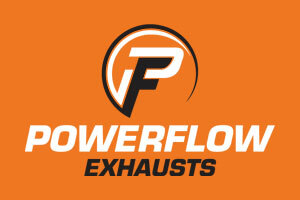 Originating from South Africa - as a result of the capitalisation of local steel resources and the growing need for Stainless Steel Exhausts for vehicles, Powerflow Exhausts has become one of the most recognisable Exhaust brands both in the UK and Internationally. The brand is more synonymous with younger car owners, having become a key player in the explosion of car modification in the late 90's early 2000's. 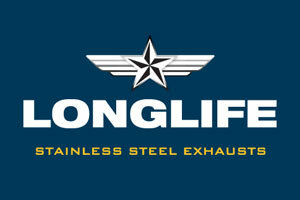 A more homegrown brand, many of our Longlife Stainless Steel Exhaust dealers are family businesses, who have been established for many years, specialising in exhaust fabrication and welding. Owners of Classic vehicles have traditionally appreciated the values having a Longlife Exhaust fitted to their vehicle can bring - a trend which is being recognised by more car owners especially where sourcing original exhaust systems is now no longer possible. To compliment one of our Custom Exhaust Franchises, dealers are able to combine with our highly regarded Topgear Tuning - ECU Remapping and HydroFlow Engine Carbon Clean services. Combining these services with a Custom Stainless Steel Exhaust is guaranteed to provide the customer with increased performance, economy and engine efficiency. Inform me of latest news and offers from Topgear (Bridport) Ltd and its associated companies.